The National Concert Hall has taken delivery of a new double manual harpsichord. The instrument, which was inaugurated by harpsichord player Malcolm Proud, is a copy by Alan Gotto of a Donzelague instrument built in Lyon in the early 18th century. Mr Proud has curated a series of three Wednesday evening concerts to mark the 350th anniversary of the birth of French baroque composer Francois Couperin. Mr Proud performs at the Couperin 350 Series with Camerata Kilkenny in the Kevin Barry Recital Room at the NCH. 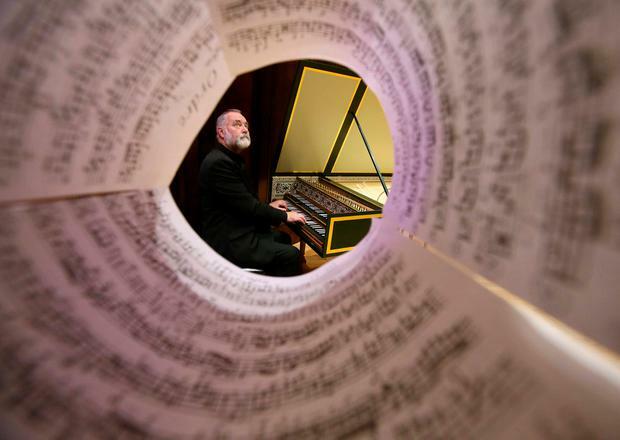 He will be joined by musicians he has worked with over the past 30 years and in each concert he will perform one of Couperin's 27 Ordres for harpsichord, suites of dances and character pieces.